Graffiti is not only antisocial but it fundamentally creates a negative impact in an area. 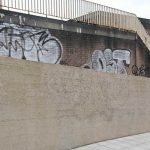 Graffiti that is left for a long time encourages further graffiti and we appreciate that the nature of graffiti is often offensive so we offer a fast response service targeted to minimise embarrassment or damage to our clients reputation. NRC use state of the art equipment and the latest biodegradable products for cleaning graffiti from virtually any surface. 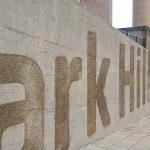 Our graffiti removal specialists can remove all types of graffiti from heritage buildings and monuments without damage and leaving no ghosting or shadows. Clients include local authorities, schools, housing associations and private & commercial facilities management companies. 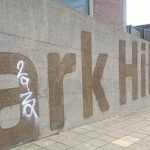 With years of experience in removing graffiti we recognise that every graffiti problem is different. We will assess the nature of the problem and provide a solution that works best. 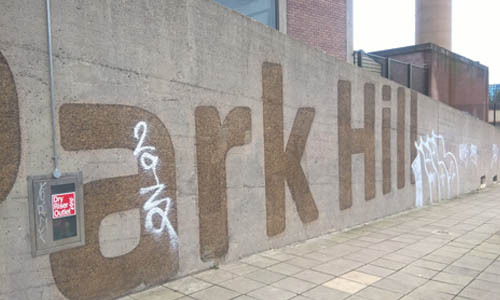 We can remove graffiti from all common surfaces including brick, stone, glass, perspex, wood or metal surfaces. Our graffiti teams are trained to work at all levels, including bridges, bypasses, and high level buildings. 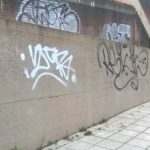 We can also apply graffiti prevention solutions to your walls and surfaces to help your walls and surfaces to remain graffiti free.